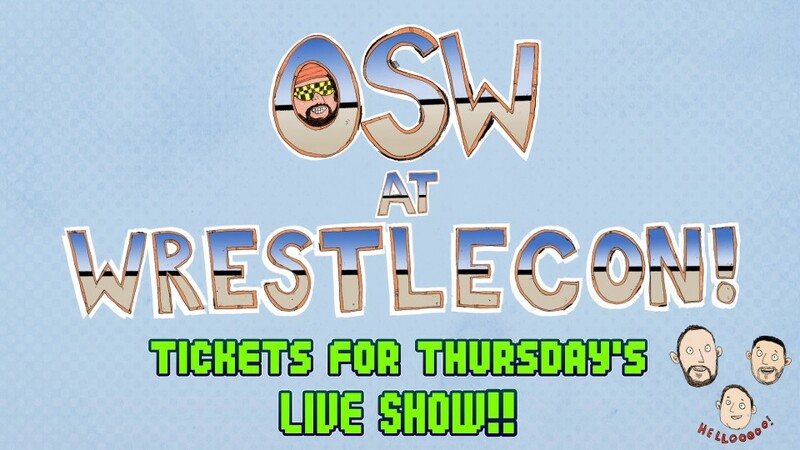 OSW Review | OSW Live Show tix now available! Tix for our WrestleCon 2017 live show are now up! I wanna mention that we are not being paid for this, everything goes to Gimmick Tree to recoup purchasing our flights & accom! So we’re doing two days at WrestleCon, Thursday Live Show (an AXCLOOSIV review + Q&A! ), Friday we’ll have a table for a Meet & Greet! Absolutely stoked about this!! I’ve never been to Florida, V1’s never been to the States and none of us have been to WrestleMania!